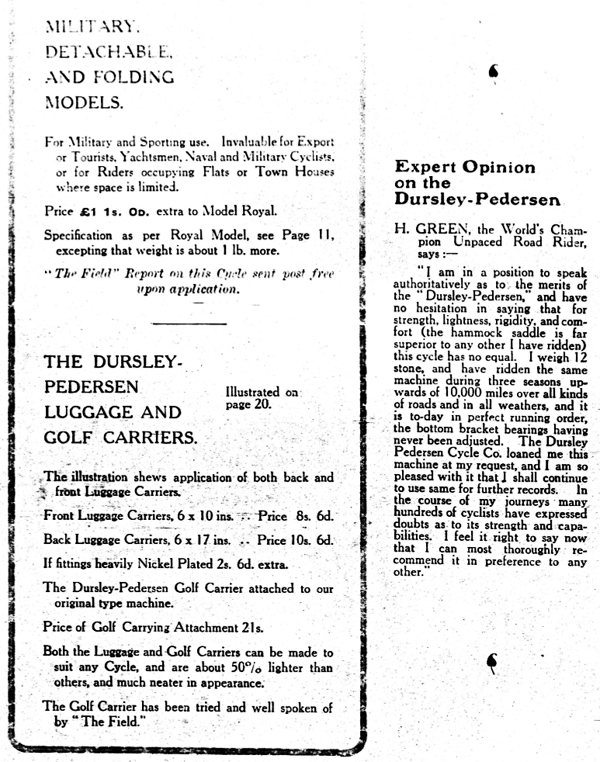 No synopsis of cycling would be complete without Dursley-Pedersen. 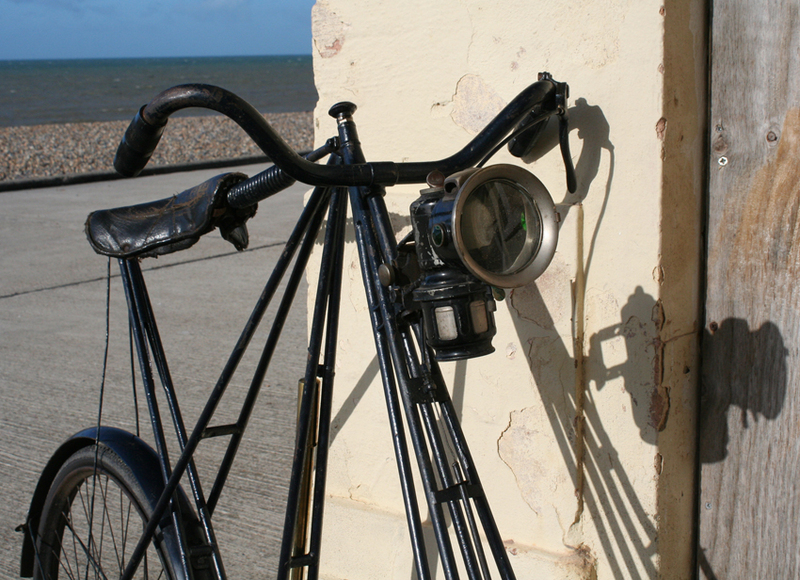 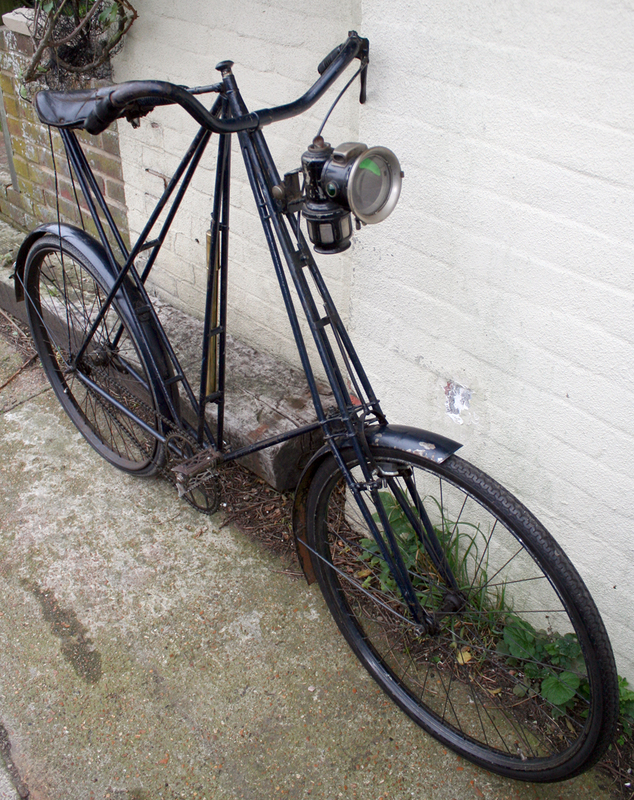 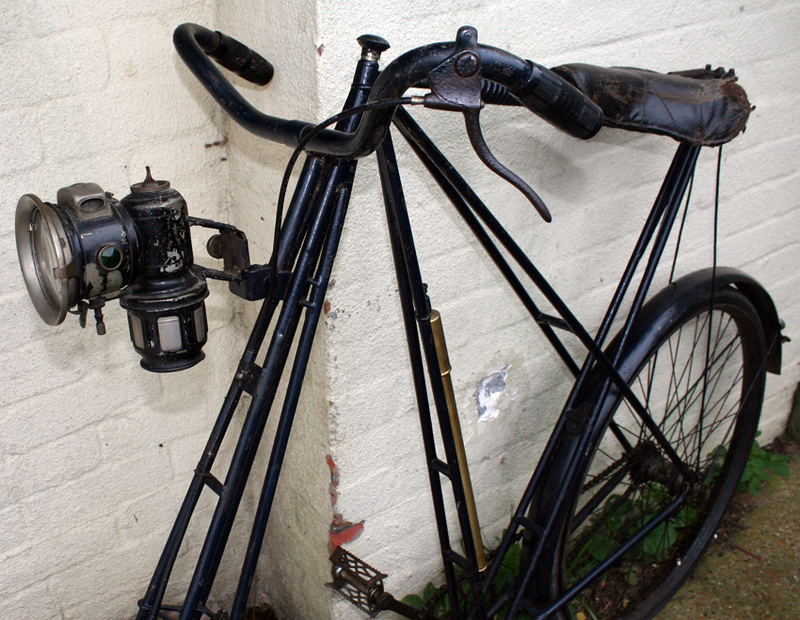 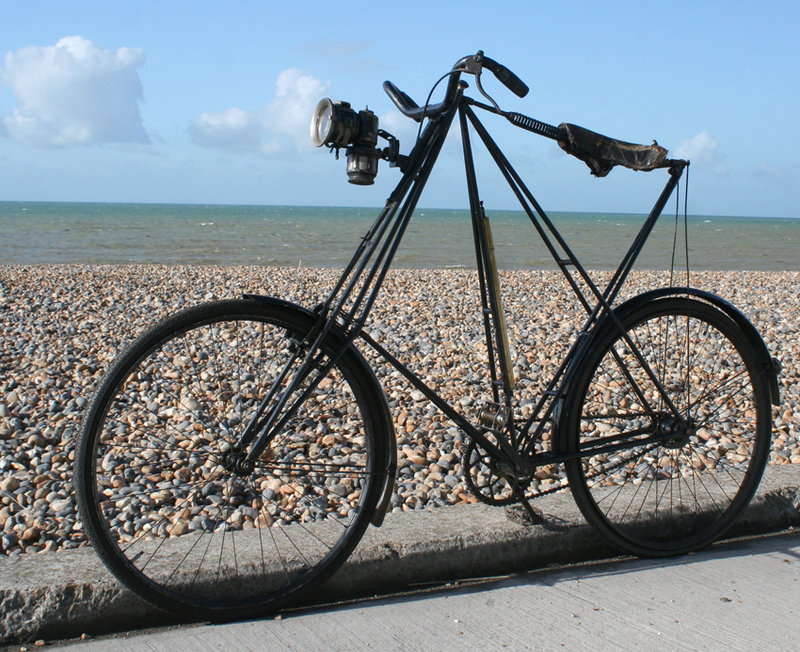 Its radical design was unfortunately expensive to produce, so it was never accepted into mainstream cycling. 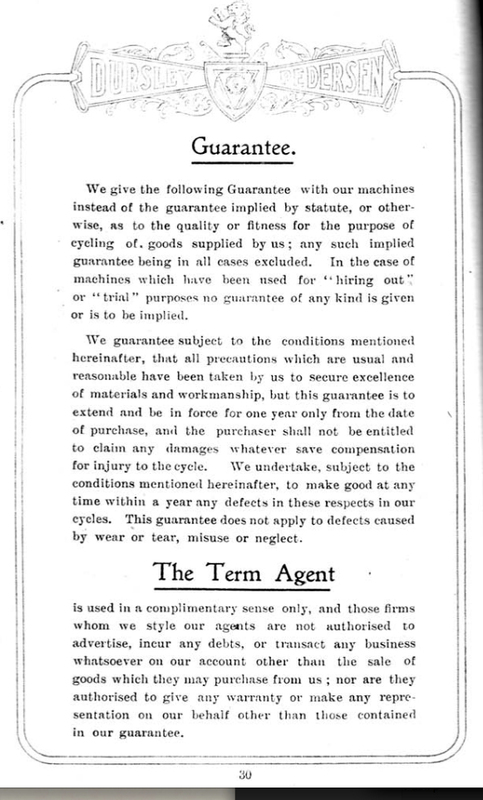 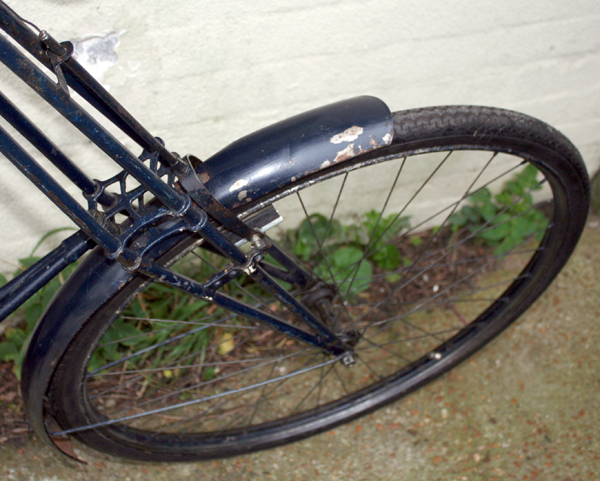 Riding the ‘D-P’ therefore became the preserve of the rich. 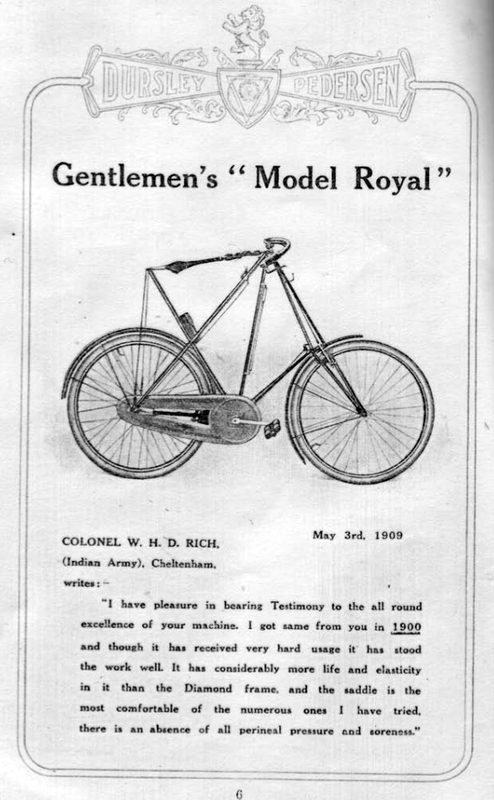 It was a very well made machine and is, these days, very collectible. 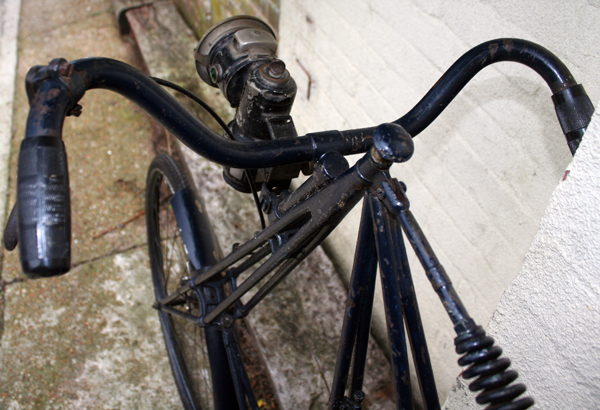 One thing that never fails to amaze me when I jump on a D-P is how easy – and comfortable – it is to ride. 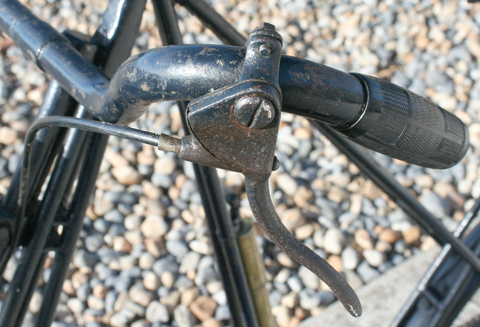 After lifting your leg over, sitting on the saddle and pedalling off, it takes just a few seconds for the saddle mechanism to adjust to your weight. 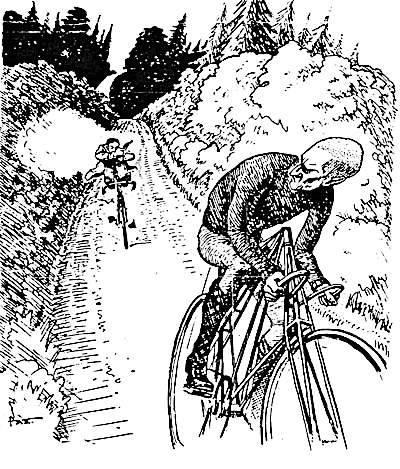 Then, suddenly, you sink into the saddle …and find yourself coasting and marvelling at the ride. 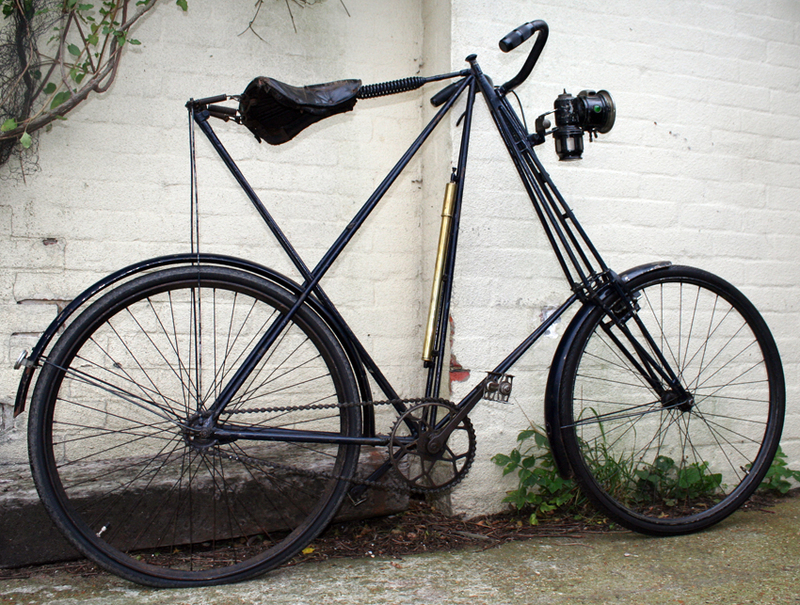 Though it’s an incredibly lightweight machine, it is nevertheless very stable and responsive to ride. 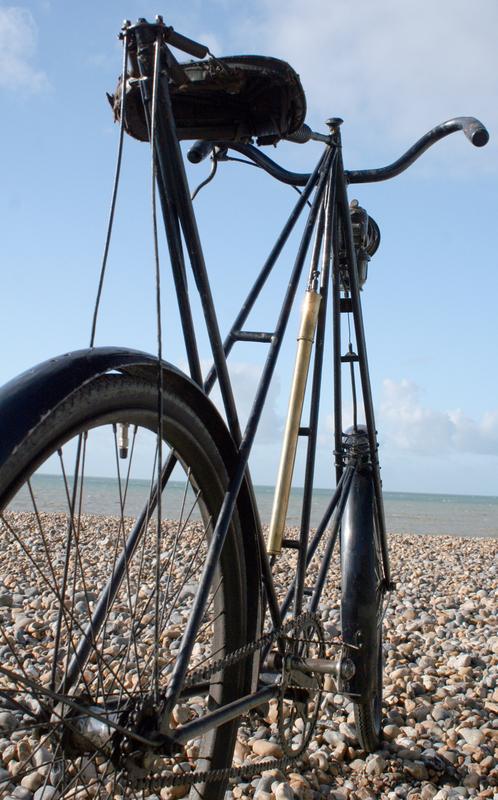 Once you’ve ridden one you realize why enthusiasts are so crazy about them. 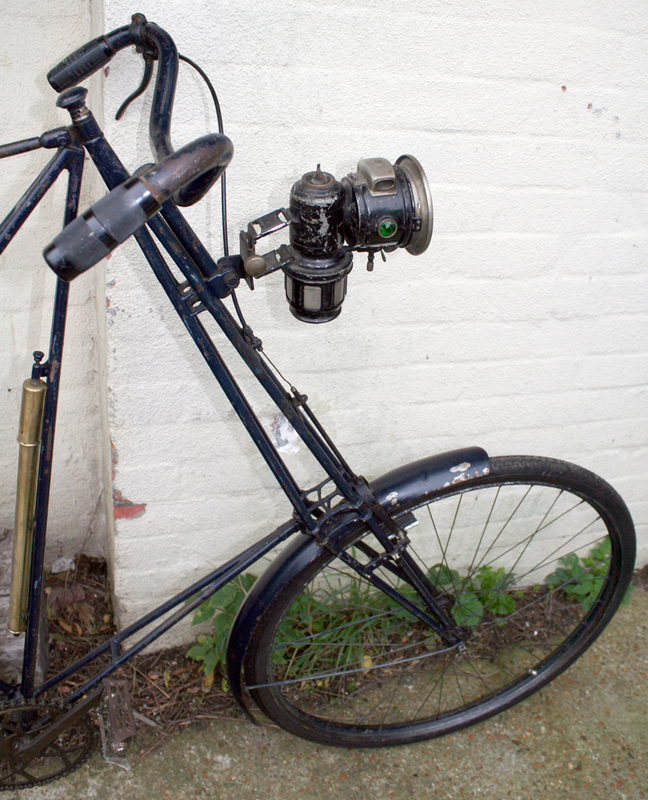 It’s a fantastic machine! 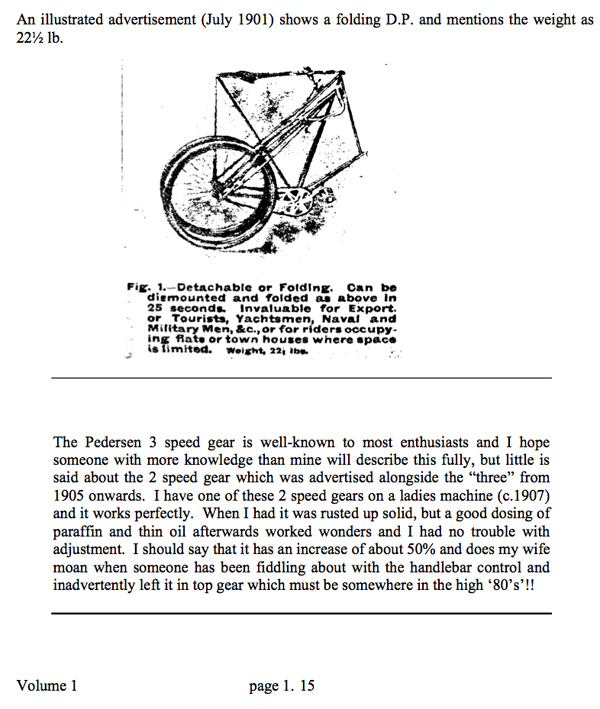 If Mikael Pedersen had been anywhere near as good at business as he was at designing and inventing, there would have undoubtedly been two dominant styles of bicycles in twentieth century history rather than just one. 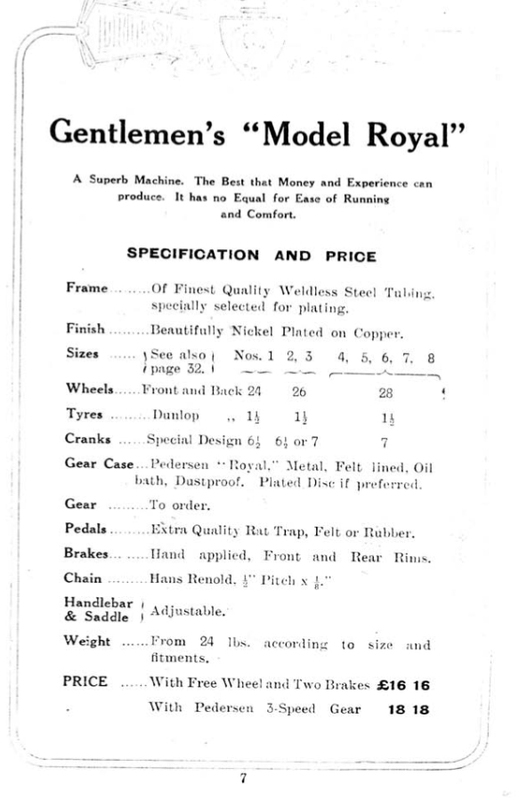 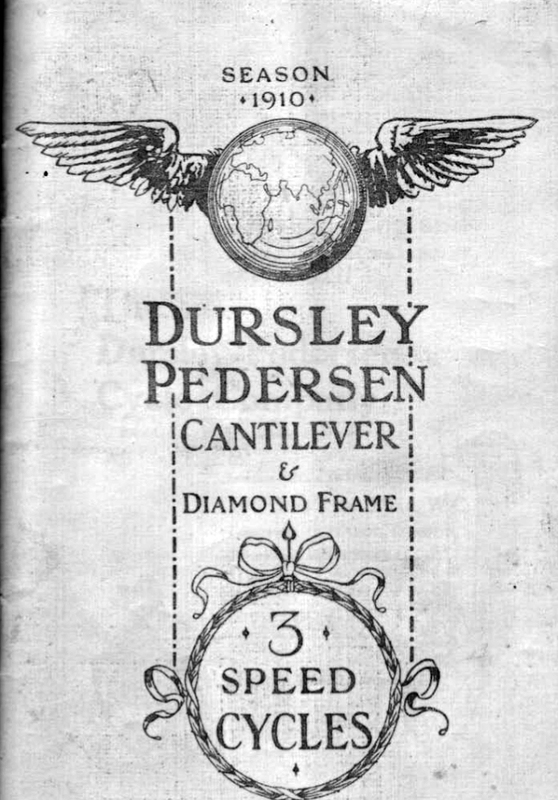 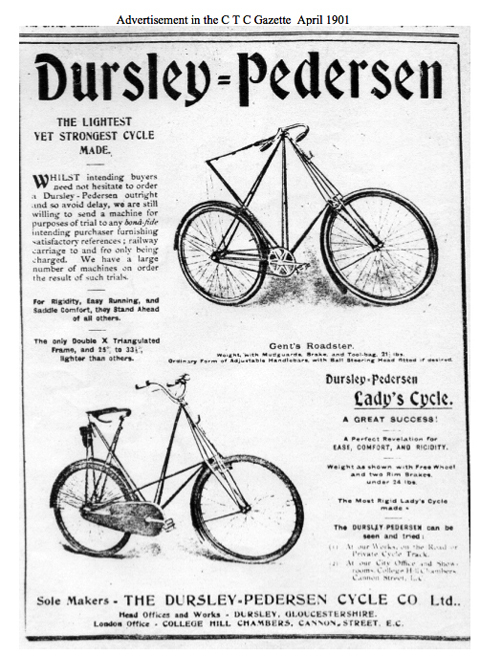 Mikael Pedersen gave up making the machines in Dursley in 1914, so this is one of the last of the original D-P’s. 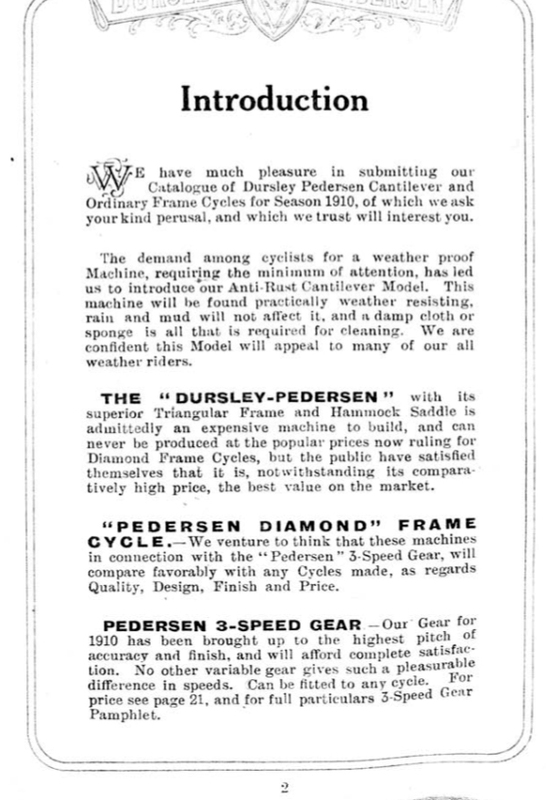 The saddle design is one of the major design features on a D-P, and I believe that improving the comfort of bicycle saddles is what inspired Mikael Pedersen to create the Dursley-Pedersen in the first place. 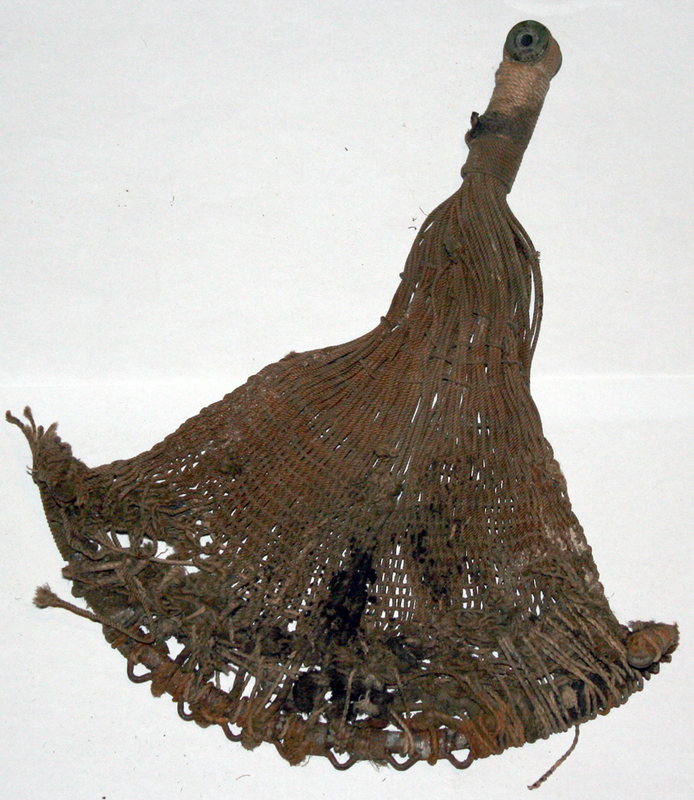 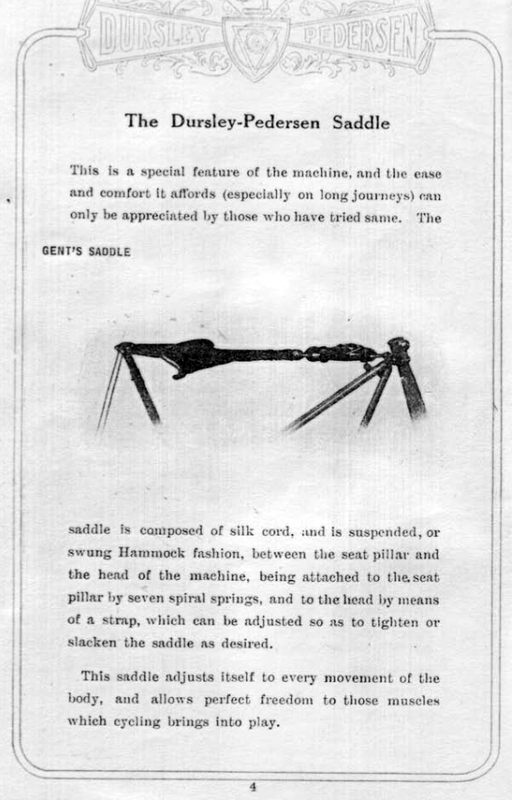 Fixing a conventional saddle to the D-P – as on this machine – was a common practice once the original hammock wore out. 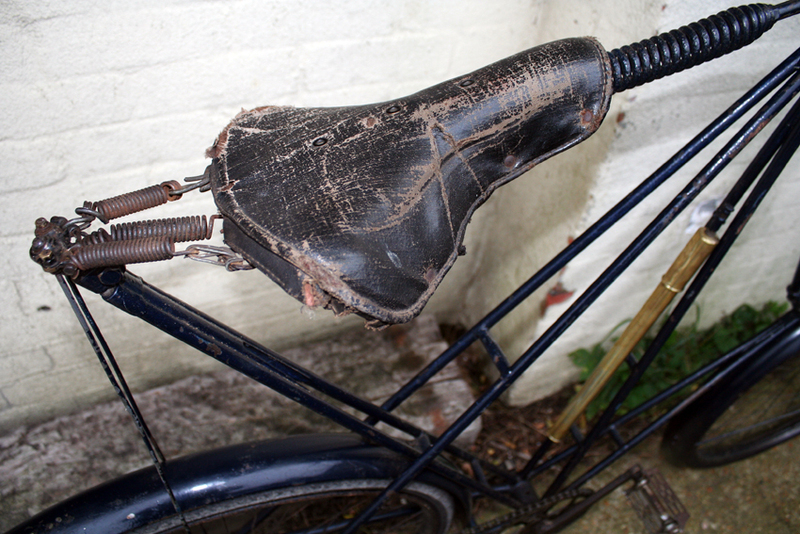 I have a spare original hammock saddle. 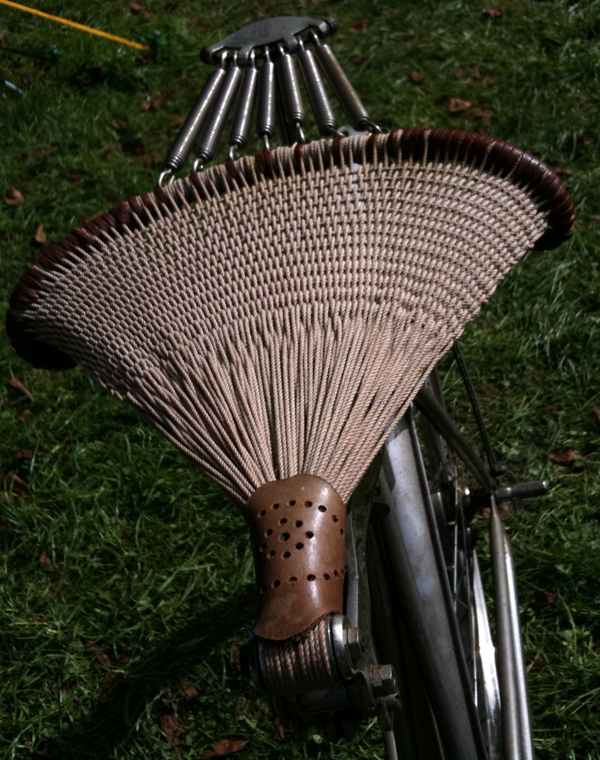 You can get a better idea of its design by viewing it like this, off the bicycle. 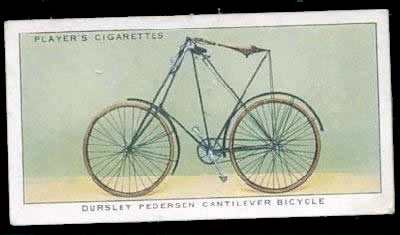 The saddle below is on a 1909 Ladies Dursley-Pedersen. 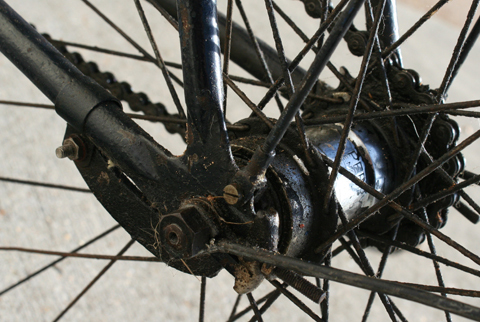 It’s a variation of the usual style. 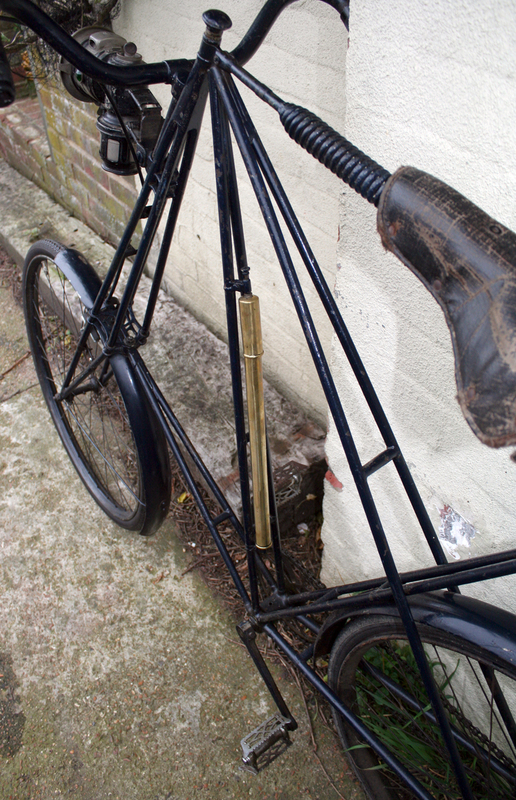 The leather cover is a very rare accessory. 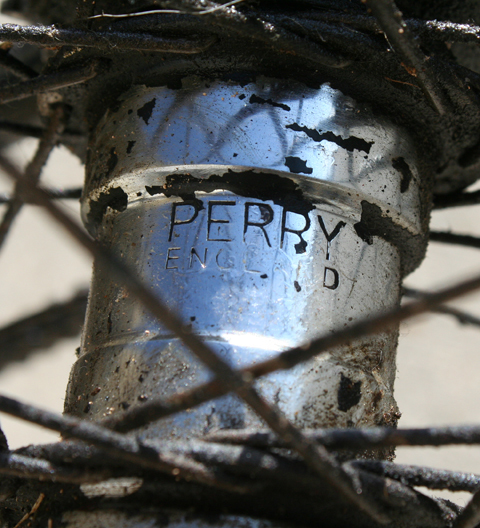 The coaster hub is a Perry. 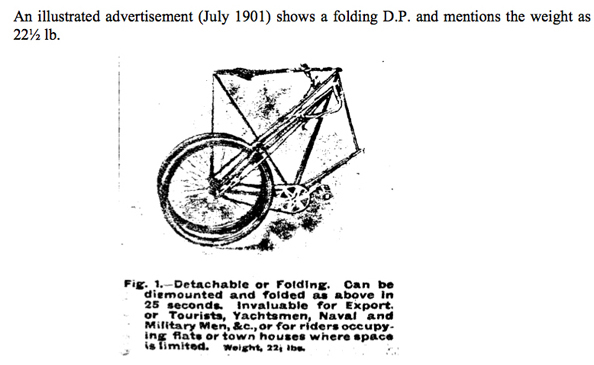 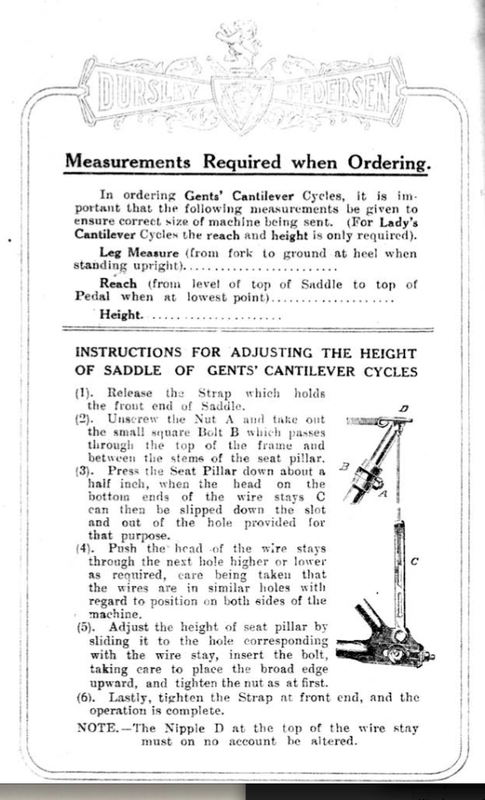 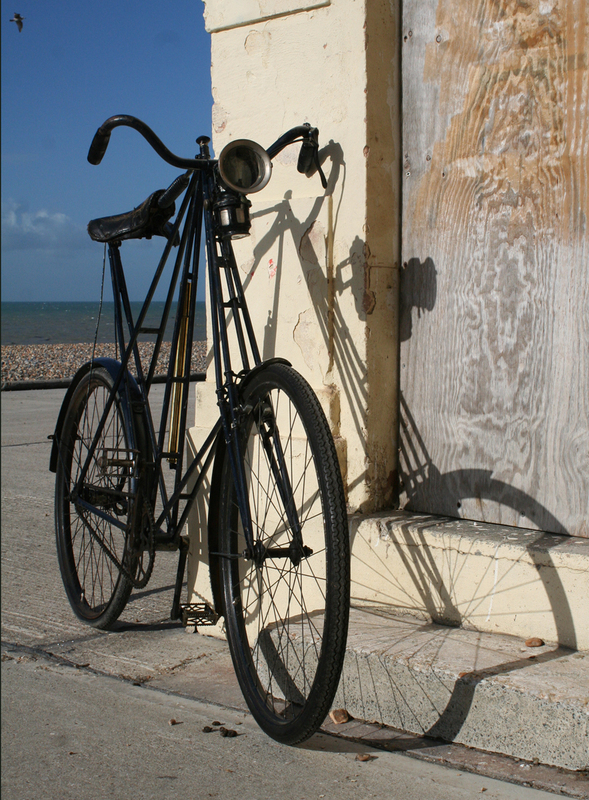 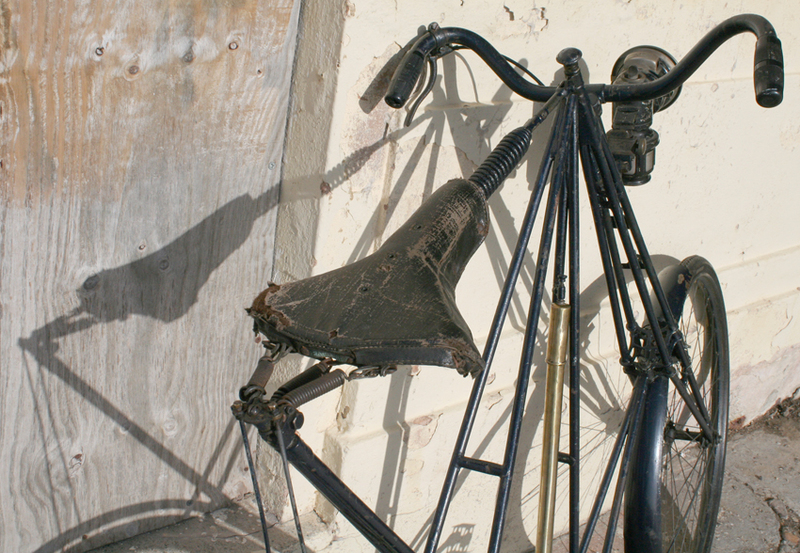 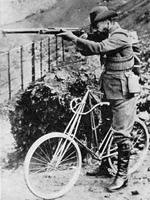 Michael Pedersen designed a folding military model of his famous bicycle for the British Army, in 1900. 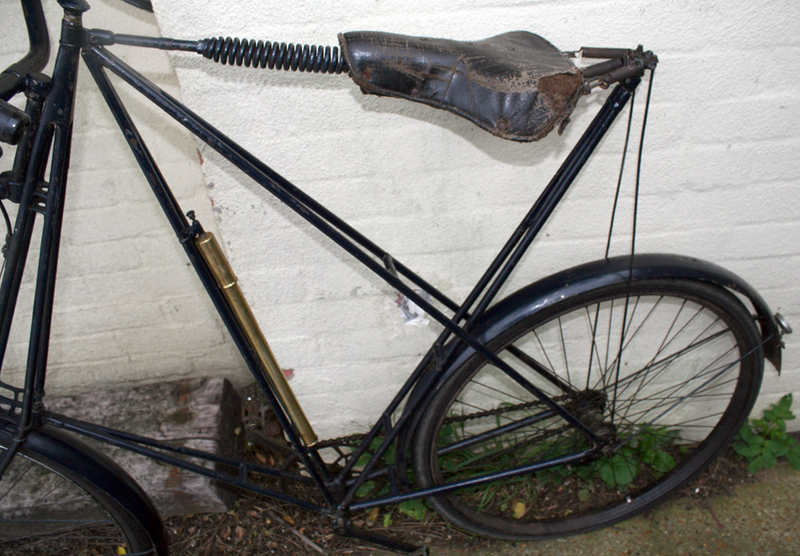 It had 24 inch wheels, and a low frame so a Soldier could put both feet on the ground while sitting on the saddle. 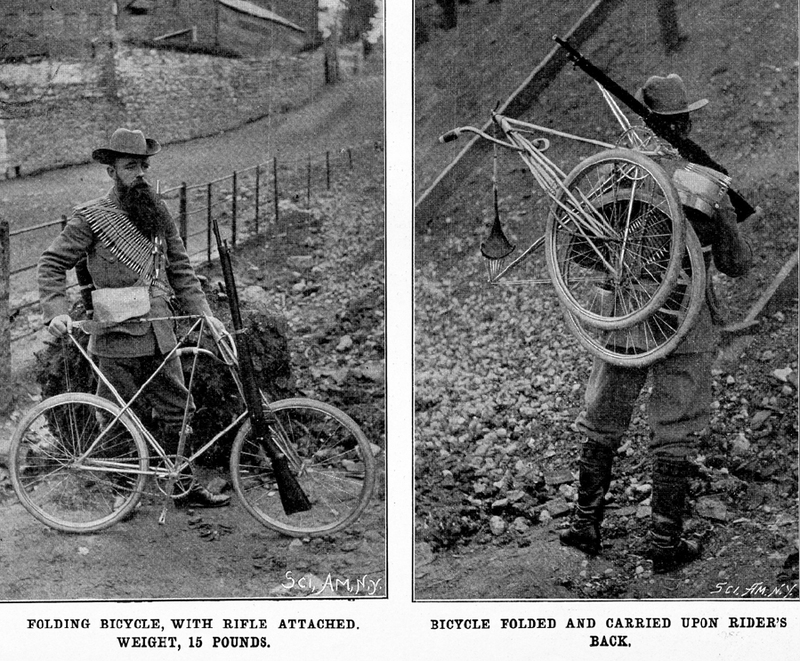 It also had a rifle rack, folding forks, a hammock saddle, and weighed only 15 pounds, and could be carried on the back, and was used in the Boer War effectively. 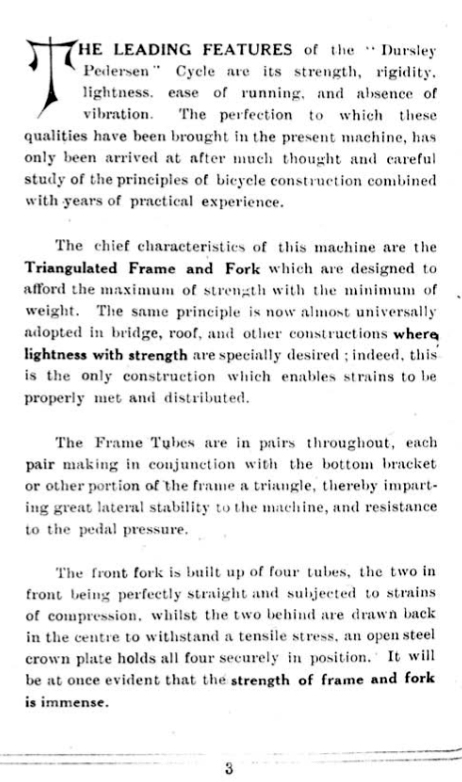 For the sake of lightness and portability the experimental machine was built with a low frame and 24 ins. 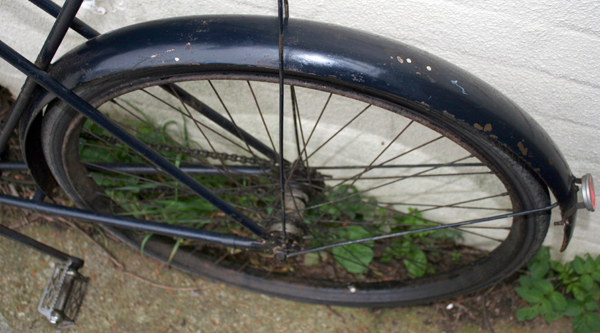 wheels, the seat being fixed farther back than usual. 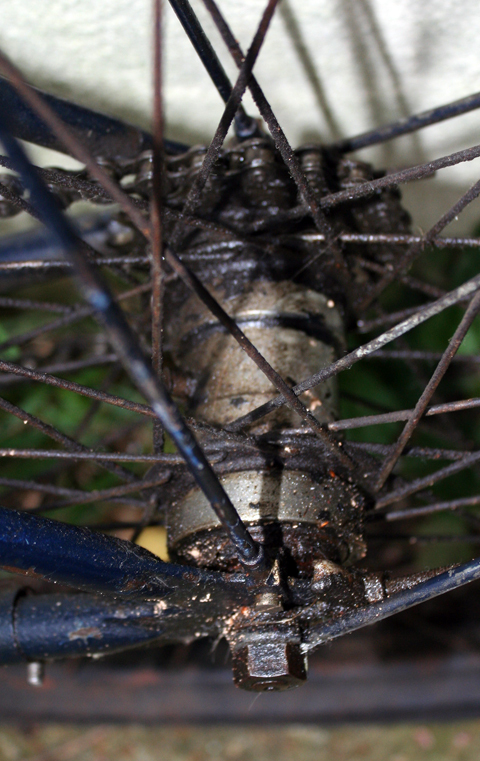 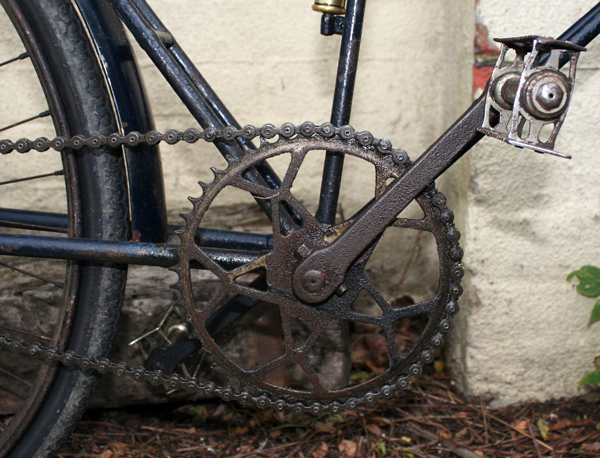 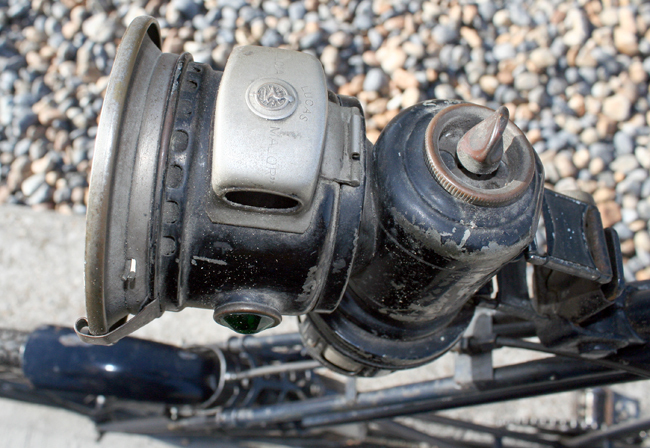 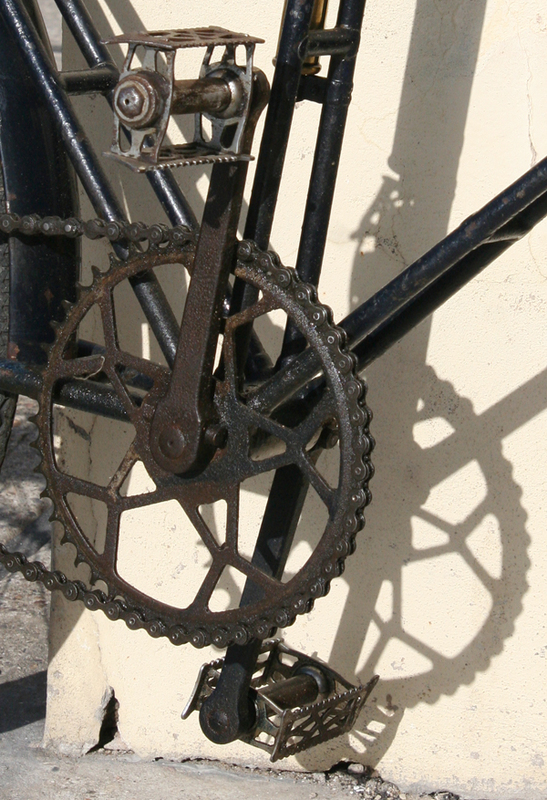 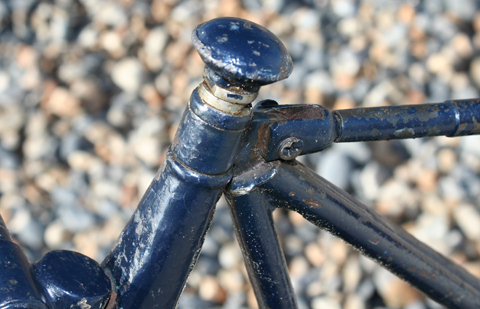 By a very simple device the frame can be disconnected (from the front fork) at the head in a few seconds for the purpose of carriage. 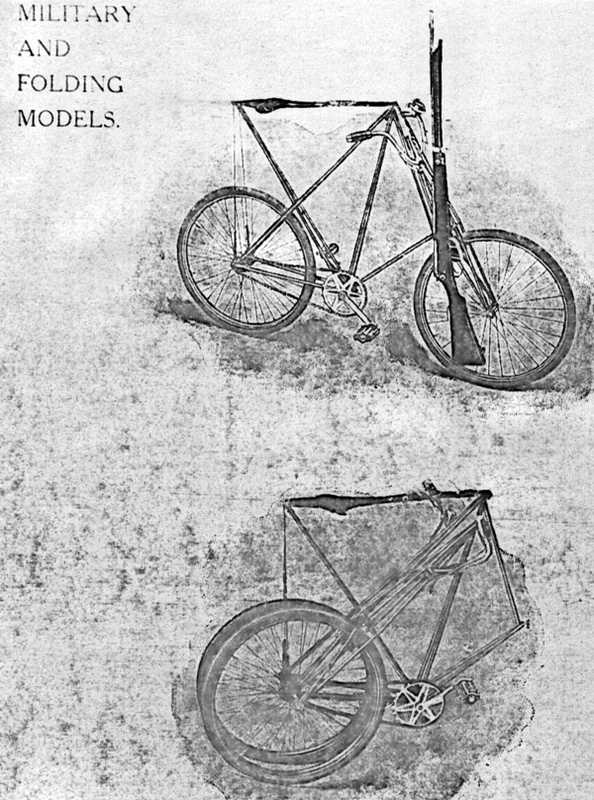 Instead of attaching the rifle rigidly to the machine as is customary, it is carried in a vertical position in front on two light projecting arms which work against a spring, so that it is a live instead of a dead weight. 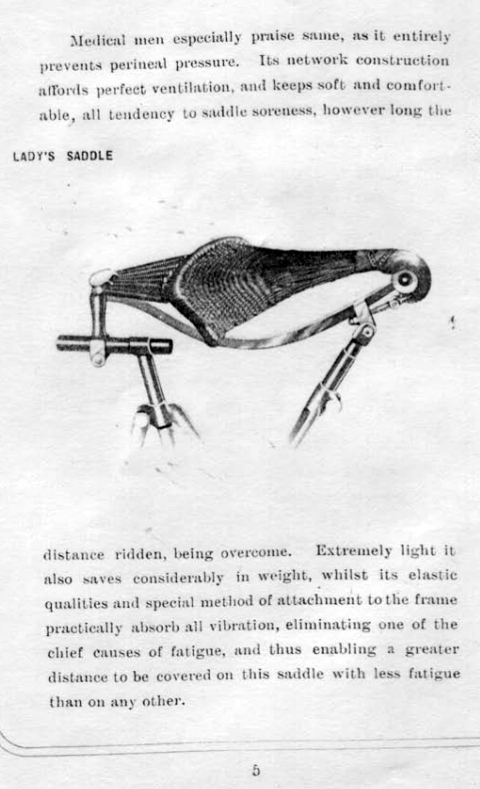 It can be detached in a moment and fired without dismounting, the lowness of the seat enabling the rider both feet on the ground. 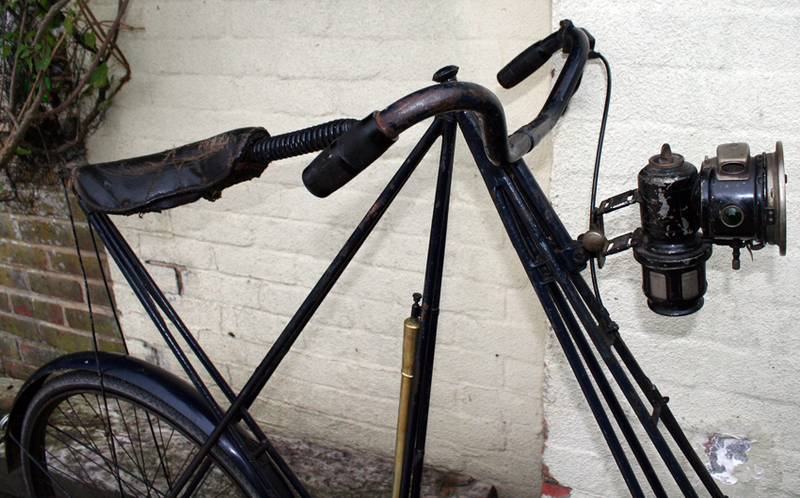 When the bicycle has to be carried it is disconnected and the front wheel, with forks and handlebar secured by the side of the other by a single strap. 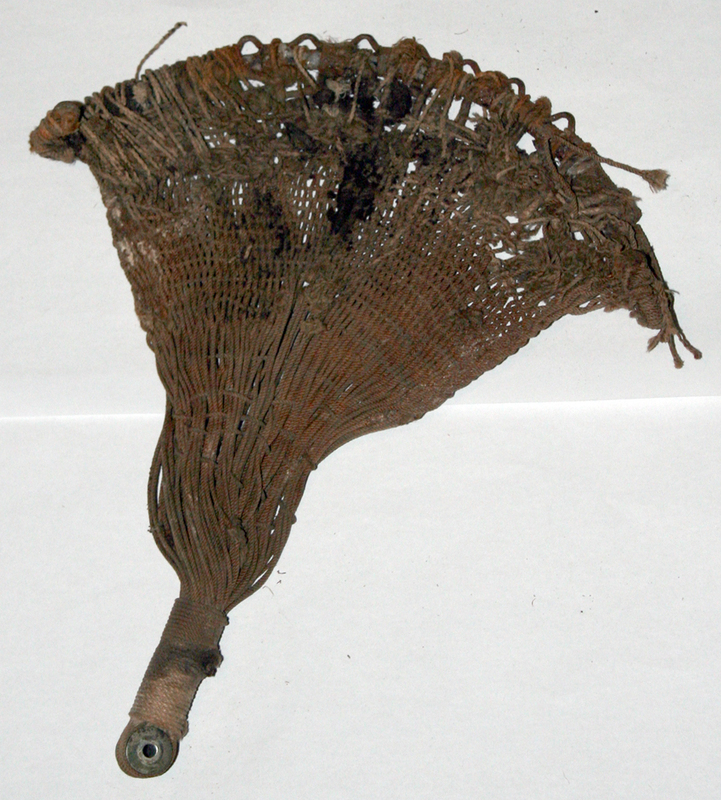 It can be carried on the bag of a soldier.